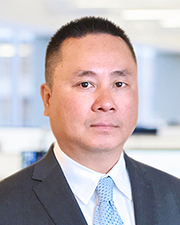 New York, NY Syska Hennessy Group has appointed Brian Nguyen, RCDD and Larry Werner as supervising consultant/associate partner and senior associate, respectively. Both join Syska’s Information and Communication Technology (ICT) practice and the firm’s New York City headquarters. Nguyen comes to Syska from AKF Group, where he served as a senior project manager, specializing in information technology, distributed antenna systems, audio visual, and security infrastructure. 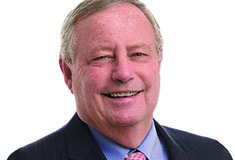 During his 14-year tenure there, he worked on projects for such organizations as NYU Langone/Brooklyn Health, New York Presbyterian, the Mayo Clinic, PwC, Yale University, Harvard Business School, Deutsche Bank, and many more. Werner is an ICT designer with 30 years of experience that encompasses every aspect of the project life cycle. Before joining Syska, he worked at The Clarient Group, LLC. 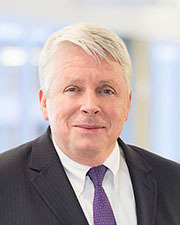 His project experience includes One World Trade Center, 4 World Trade Center, the Federal Reserve Bank of New York, the United States Postal Service’s general mail facility in Brooklyn, One57, the Park Hyatt, and Columbia University Business School, to name a few examples. In their new roles, Nguyen and Werner will expand and deepen client relationships in the New York and New Jersey area, and help Syska meet the ambitious growth goals established in its Vision 2025 strategy. Nguyen, a resident of the Woodside section of Queens, holds a B.S. in mechanical engineering technology from Oklahoma State University School of Engineering and an A.S. in computer-aided drafting from Northeastern Oklahoma State A&M College. Werner, who lives in Bellport Village, Long Island, studied electrical engineering at SUNY Stony Brook. Syska Hennessy Group is a leading global, full-service MEP, information and communication technology (ICT), vertical transportation, and commissioning engineering firm. With more than 500 professionals across 18 offices, the company provides a full range of engineering services for projects of every size and budget. Since 1928, Syska has been designing smarter, safer, and more efficient buildings by integrating essential systems that respond and adapt to a changing world.